It isn’t often that I buy a book brand new these days. I’m saving up so I can afford to go and do my Masters – problematic when I have a book buying habit. So normally I get them second-hand. However, every so often, I encounter a book that just really stands out, and I have to have it now. Serena was one of those books, purely from the blurb. I mentioned briefly before that I have a thing set for books in the Southern US states, so this checked one box. Toss in a 1920s setting, plus a cunning and strong-willed, albeit murderous, heroine, and I’m sold. Serena turned her gaze and words to the daughter. A woman ahead of her time, Serena is not afraid to get dirty, not phased by the possibility of injury and is completely prepared for her new Southern life. She takes an active role in the running of the camp, much to the shock of the workers, she wears trousers (dear god!) and rides horses. Refusing to be put down or excluded socially, Serena has wealth, a husband, an education and power, but not the one thing she wants most in the world: a child. She is ultimately a very strong character, one that you can’t help but admire – apart from that little niggling feeling at the back of your brain, the one that tells you she is cunning and capable of horrific acts, and prepared to kill an innocent child. It’s difficult to decide whether to like her as a character or not, I suppose just as the workers are feeling when faced by Serena – she is a brilliant leader and boss, she knows exactly what she is doing, but she is female and that is not something they can easily overlook in that particular period of time. I was expecting something dark and claustrophobic feeling, due to the isolation of the lumber camp – but the descriptions of the surrounding woods and neighbouring village make it feel huge, despite the camp and village being hours away from civilisation. The landscapes of the book were beautifully painted, and I got a real feel for the smells, sights and sounds of the forest. Unlike in The Snow Child, which felt very closed in due to the woodland setting, Serena only feels more broad. However, the chapters told from Rachel’s POV (the young girl whom George gets pregnant) seem rather more claustrophobic. She is alone, with very little help, and in danger. This really juxtaposed the difference in social status between the two characters. The jumps in time were a little confusing, sometimes months would pass and the only way to tell was the age of Jacob, George and Rachel’s son. As for George, I was also unsure about how I should feel about him. The first impression the reader gets of him is that he is uncaring when it comes to Rachel, but he practically worships Serena. He is almost blinded by his love for her, unable to see what she is turning into and letting her wear the trousers (literally and figuratively) in the relationship. However, over time he starts to develop more of an interest in his young son, and also questions his previous actions and decisions, whilst slowly redeeming himself. Oh, and the shocks in this book. There are so many events you don’t see coming, or don’t want to see coming, and they are brilliant. Starting with the very first chapter, they build up with intensity until the end – the most shocking of them all. Definitely, definitely worth a read. You’ll begin questioning whether you really support this strong-willed, independent young woman after all, especially with a lack of such figures in books these days. To have one waved under your nose and then have you wonder whether you like her at all is very effective. 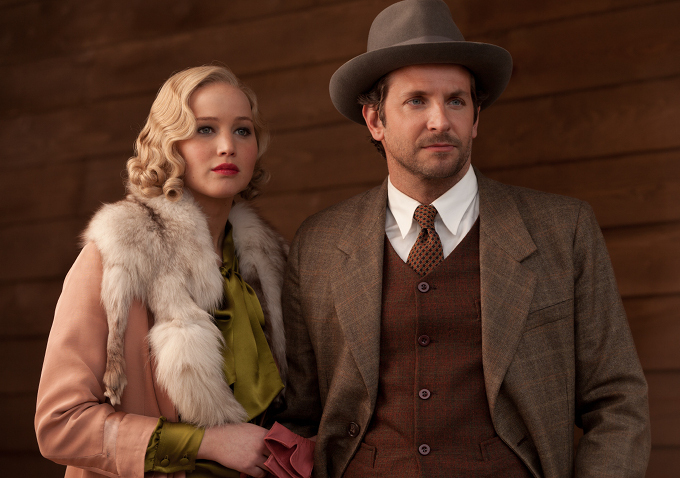 Serena is also going to be made into a film, starring Jennifer Lawrence and Bradley Cooper as Serena and George Pemberton. It is set for release at the end of October, and I will definitely be going to see it! O lord, I need to read it before the movie comes out, then :-)I’m in!!! Yesss! =D And I’m excited that it’s Jennifer Lawrence and Bradley Cooper, cos I thought they worked well together on Silver Linings Playbook. And Jennifer Lawrence is just brilliant. Oh wow, though this book sounds really interesting I was very much sold on it when I saw it’s going to be a movie with Jennifer Lawrence! This book sounds very intense, I’m glad you enjoyed it! Can’t wait to check it out! It is, I really had to think about my rating and review – at first I gave it 4/5 stars, but I really thought it through and decided it deserved that one more 😉 I’ve not read anything like it before. Ah, the perils of owning many books… 😉 You should bump this up on your list though!